Sadly my first encounter with Helen Oyeyemi wasn't a great one. I was hoping to get out of the horrid slump I was in all last year with some spooky reading in October and I chose White is for Witching as my first pick, and unfortunately it ended up dragging me further into the slump and subsequently not reading any of the other spooky books I was hoping to pick up around Halloween. Oyeyemi is a wonderful writer, she writes beautifully and while I didn't love my first foray into her work it hasn't put me off checking out more of her work in future. There were some parts of White is for Witching that I really enjoyed - there are some gorgeous descriptions, there's some LGBT+ romance which pleasantly surprised me, and the way the relationship between Miri and Eliot is written is just lovely. I think my favourite thing about the book was the house, which is also one of the main characters; I loved its relationship with the women of the family and how these women have brought the house to life through the ages and turned it into a rather sinister presence. It's fairly reminiscent of Shirley Jackson's The Haunting of Hill House in places, I just didn't enjoy it as much as I enjoy Jackson's books. Because The Haunting of Hill House is so weird it helps that we have one narrator and that we know who that narrator is (whether she's sane or not is another matter entirely), but the narratives switched without warning throughout White is for Witching and unfortunately I'm not the kind of person who can appreciate a clever narrative switch. I like to know who is telling me a story otherwise I get frustrated and I can't get into it as much as I'd like because I have no idea who's speaking to me. I quite like slow stories, but this felt less slow and more like nothing was happening at all. I spent the entire time waiting for something - anything - to pick up the pace, and in all honesty I don't think that was the book's fault, but the blurb's. In fact I blame the blurb for my problem with this book as a whole; the blurb makes it sound as though Miri goes missing and that her brother and her best friend team up to search for her, and given the slump I was in when I picked this up that was exactly the kind of story I was looking for and it wasn't that story at all. Ultimately I think I may have read this at the wrong time, but it wasn't what I was looking for and I'm sorry to say I wasn't the biggest fan of my first encounter with Oyeyemi's work. I do love the way she writes, however, and I'm really looking forward to reading What is Not Yours is Not Yours; I think I may prefer Oyeyemi's writing in a short story format. 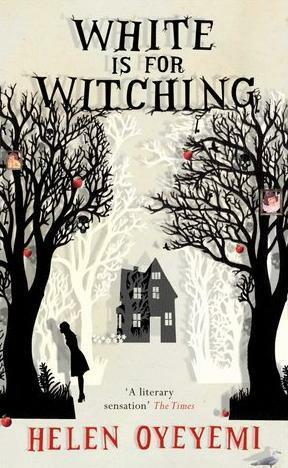 I'm also in a minority here, so if you've had White is for Witching on your radar I'd still recommend picking it up - it could be you enjoy it a lot more than I did! I recently read What Is Not Yours as my first Oyeyemi for my book club and had kind of the opposite reaction: I wanted a novel-length treatment to really immerse myself in a world she created! I've got Boy Snow Bird coming up fairly soon on my TBR...I wonder if I'll still be into the idea of novel-length Oyeyemi after I read it or if I'll revisit my opinion on her short stories!